There’s water. There’s color; a hint of winter in the sky. And there’s paddle boarding that might be a shade cool, if not down right freezing in the early morning light. I bought my first pair of flannel-lined jeans to walk around the breezy streets, before an evening with writers at Longfellow Books. Tonight G.A. 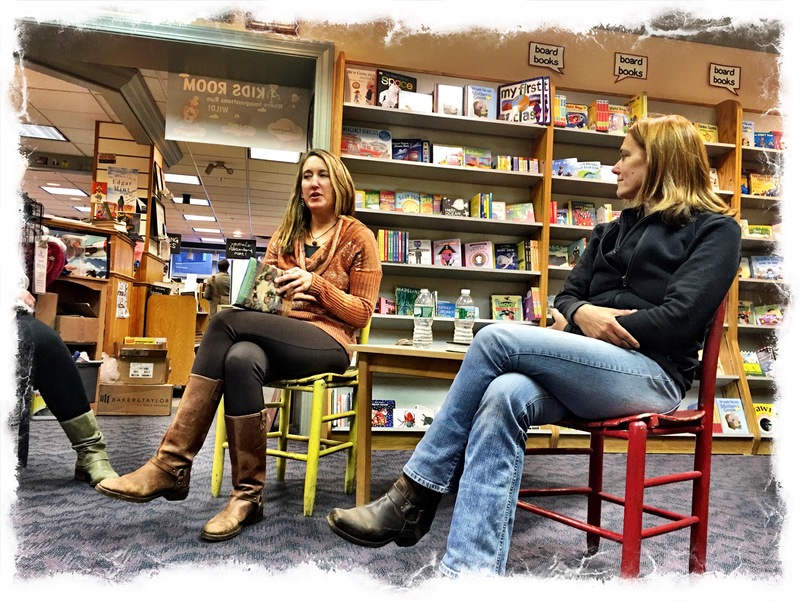 Morgan, author and editor, was in conversation with Kate Christensen, author of How To Cook A Moose. The two were clearly connected to each other and embrace the people, the land, and the work ethic shared by Mainers. G.A. discussed the second book in her Five Stones trilogy, Chantarelle. It’s a young adult fantasy whose setting was inspired by her childhood trips to the Acadia area. She and I briefly discussed SUP and writing. She told me to check out Higgins Beach. It’s 20 minutes from our Portland home. There’s a paddle board shop close by. When in Maine?